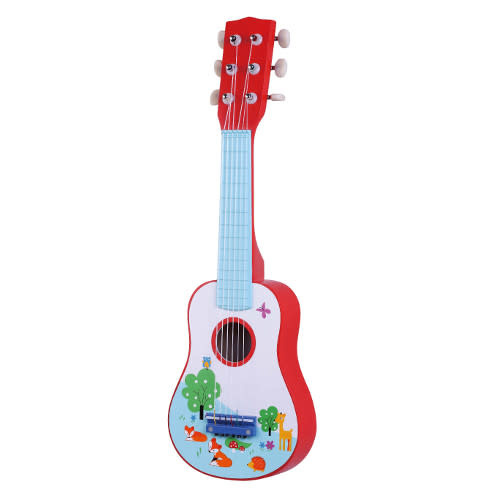 Bring out the musician in them with this wonderful wooden guitar. This beautiful wooden guitar has a red surround with white face, decorated with a lovely wooden animal scene. Bring out the musician in them with this wonderful wooden guitar. This beautiful wooden guitar has a red surround with white face, decorated with a lovely wooden animal scene.